Delivered via Germany’s Midgar, Acid Mt. Fuji arrives on vinyl at a high point of interest surrounding Yokota's work, and especially these early recordings that were made some years before he went on to pen ambient classics such as The Boy And The Tree. While patently acid techno in form and style, on Acid Mt. 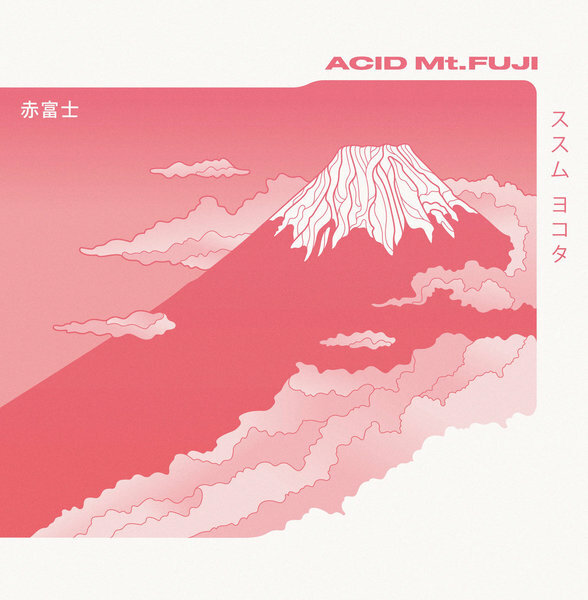 Fuji it’s easy to hear the more tender, esoteric elements which would later come into sharper focus, but the original tracks completely stand on their own merits, too, with some big highlights for anyone scoping ‘90s Japanese house and techno in parallel to its ‘80s synth-pop and ambient nexus, especially in the likes of his ruggedly pendulous yet delicate Tanuki, or the slow acid churn of Oponchi and Akafuji. New edition white vinyl. 180GM with insert of the original 1994 artwork and download code Included.